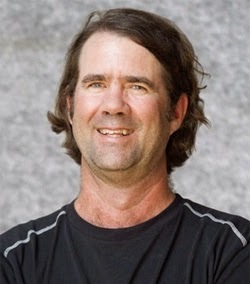 Dave Perry is recognized worldwide as an authority and expert the Racing Rules of Sailing. When I reached out to Dave for his assistance, I was pleasantly surprised by his willingness to go above and beyond in his reply as well as his willingness to continue the dialogue with answers to numerous follow up questions. Many thanks to Dave for taking the time to provide us with his interpretation of RRS 43.1(a) and 43.1(b) as well as sharing some insights into the history and purpose of these rules. For more on the rules, get Dave Perry’s two books Understanding the Racing Rules of Sailing through 2016 (which includes the complete rule book) and Dave Perry’s 100 Best Racing Rules Quizzes available at US Sailing, 800 US SAIL-1, or www.ussailing.org. I am happy to give you my personal opinions on the hypothetical questions you sent me. These are solely my personal opinions. Rules 43.1(a) and 43.1(b) are independent rules which address two separate issues dealing with the wearing of clothing and equipment when racing. Rules 43.1(a) is a stand-alone requirement. It clearly states that competitors are not allowed to wear or carry any clothing or equipment with the purpose or intent of increasing their weight. In other words, if part of the reason the person wore something was to increase their weight, that breaks rule 43.1(a)...period. This has nothing to do with the overall weight limit described in 43.1(b). Rule 43.1(b) begins "Furthermore...", which means "in addition to the requirement in rule 43.1(a)..." Nothing in rule 43.1(b) is an exception to the clear requirement in rule 43.1(a). Rule 43.1(b) puts a maximum weight on all clothing and equipment. The clothing and equipment referred to in rule 43.1(b) is clothing and equipment worn for purposes other than increasing the weight of the sailor (which is banned completely by rule 43.1(a)). The history of 43.1(a) is that for a long time (up through 1972) sailors, such as Finn sailors, increased their body weight by wearing extra weight in the form of sweat shirts and other water absorbing garments that, when wet, would weigh up to 100 pounds. In 1973, the IYRU (former ISAF) decided that was unhealthy due to back and knee injuries, and instituted rule 22.3(a) (a ban on wearing clothing and equipment for the purpose of increasing weight) which was word for word the same as current rule 43.1(a). But then they added rule 22.3(b) which said “A class which desires to make an exception to rule 22.3(a) may do so, but the total weight of the clothing and equipment cannot exceed 20 kilos. The racing rules continued this way (prohibiting the wearing of clothing and equipment for the purpose of increasing weight, but allowing it *if* the class rules allowed it) but shifted the maximum weight down to 15kg, unless the class stated a lesser or greater weight, in which case the max weight was set at 20 kilos. I was part of the first Laser generation (first hull was #931) that wore water bottles in the 70’s when we raced. I think the Laser class max was set at 10 kilos (which was basically two water bottles, a t-shirt, a PFD, pair of shorts, watch, socks and Aigle boots). My back is now permanently injured with two degenerated discs. In 1997, ISAF completely banned the wearing of clothing and equipment for the purpose of increasing the sailor's weight, again for health reasons. That ban is currently rule 43.1(a). The way they completely banned it was to remove from the rule the exception clause that had been in the book from 1973-1996 which allowed the classes to permit the wearing of clothing and equipment for the purpose of increasing weight. Note that rule 43 cannot be changed by class rules or the sailing instructions (see rule 86.1). Sailor A wears an additional shirt that has been specifically designed to allow for the insertion of lead weights and weights are inserted, however, the total weight of Sailor A's clothing is 7.5 kg, as measured according to Appendix H, which was strategically calculated to be just below the 8 kg limit imposed by RRS 43.1(b). Is Sailor A in violation of 43.1(a)? Sailor A wears an additional shirt that is heavy when wet solely for the purpose of adding weight, however, the total weight of Sailor A's clothing is 7 kg, as measured according to Appendix H, which is well below the 8 kg limit imposed by 43.1(b). Is Sailor A in violation of 43.1(a)? Sailor A wears an additional shirt that is heavy when wet for the primary purpose of warmth with the added benefit that it also adds additional weight, however, the total weight of Sailor A's clothing is 4 kg, as measured according to Appendix H, which is well below the 8 kg limit imposed by 43.1(b). Is Sailor A in violation of 43.1(a)? Sailor A, due to financial limitations, wears technical sailing gear that is old and outdated and made of heavier materials, therefore the total weight of Sailor A's clothing is 8.5 kg as measured according to Appendix H, which is in violation of the 8 kg limit imposed by 43.1(b). Is Sailor A in violation of 43.1(a)? Case 1 - yes, because the purpose of wearing the clothing and equipment is to increase the sailor's weight. Case 2 - yes, for same reason as Case 1. Case 4 - clearly the sailor breaks 43.1(b) unless the class rules permit a higher weight or the sailor is on a boat required to be equipped with lifelines (see rule 43.1(c)). Whether they also break 43.1(a) depends on the reason they wore that gear. Case 3 - this is the tricky one, because it becomes a gray area between wearing a garment for warmth or protection, and wearing it for the purpose of adding weight. Setting aside the issue that some people will try to take advantage of this gray area by "saying" the gear was for warmth or protection but "knowing truthfully" that they are wearing it to increase their weight, the answer to whether Sailor A is breaking rule 43.1(a) is in the truthful answer to this question: why did the sailor choose to wear that garment? Case 89 is the only ISAF Case on this, and stemmed from a situation in, I believe, the 1996 Olympics where a top finishing 470 crew, I believe, was wearing a camelback garment with a water bottle inserted, with a drinking tube attached. The crew was protested for breaking rule 61.1(a) (equivalent to rule 43.1(a) in the current book). The crew claimed the purpose of wearing the garment was to provide hydration during the race which otherwise was very difficult as the crew was on the wire most the race. The protestor claimed the purpose of wearing the garment was to increase the sailor's weight. The Jury could not bring itself to DSQ the boat, but soon after the Games, Case 89 was published, with the intent to ban the wearing of clothing or equipment that had the effect of increasing the sailor's weight when it was not otherwise necessary to wear that garment. ISAF's opinion was that crews could find a way to put a water bottle in the boat and get drinks from it during the race without wearing it. ISAF also realized that windsurfers could not realistically drink water while racing unless wearing it, so they are allowed to, by exception to the rule in their Appendix B. Question: Does rule 43.1(a) permit a competitor to wear or otherwise attach to his person a beverage container while racing? So back to your Case 3, if the sailor truthfully wore the extra layer so their weight would be increased, then they broke 43.1(a). But if it was necessary for them to wear the extra layer to stay warm, and the additional weight of the extra garment increased their weight, that to me doesn't break rule 43.1(a). But, if they intentionally wear that extra layer on the outside of their other gear, and they let it get soaked such that it increases their weight when they could have worn it inside a waterproof spray top, etc., then I'd be more inclined to say the sailor wore that extra layer for the purpose of increasing their weight, and broke rule 43.1(a). Otherwise they would have made the effort to keep that layer dry in order to stay warmer. Great to read such a clear and reasoned explanation from someone of Dave Perry's status, seemingly in support of the arguments posed by your occasionally unpopular assorted anonymous posters (case 2).The key question remains why did Doug choose to wear a 'heavy when wet' sweater? Only Doug will know the truthful answer to this. Given that he initially indicated that his intention was to solely increase his weight, only to then amend this to 'adding warmth as well' when a couple of anonymous posters questioned the legality of this, before deleting the blog altogether, it would seem reasonable to question your previous statement that Doug had no idea he was breaking 43.1a at the outset. As said though, only he will truly know. Meanwhile, very useful indeed to have DP explain this in such detail. Not sure there is much more to say unless the US sailing appeals committee are able to read people's minds as to their true intent! Thankyou Dave Perry. The exercise was very educational. I believe Dave has alluded to a situation where it is possible for two people to wear the same clothing for different reasons but in those situations a protest or appeals committee may ultimately look at numerous factors (weather conditions, etc.) to determine what they believed the intent to be regardless of what the sailor said. In Doug's case, one simple question determines the intent, would he have worn the shirt in warmer conditions with the same wind? His answer is no. He knew when shopping for gear that the conditions would be colder than what he was accustomed to and he went specifically looking for a shirt that was identical to what he'd seen a multi-world champion wear year after year. He was copying the actions of a mentor. There was no intent to do anything illegal or gain any advantage. However, since Doug writes a blog and shares whatever he knows, learns and tries, that action subjects him to a higher level of scrutiny than his competitors. Not exactly fair but nevertheless a choice he has made. Since others might read his blog and copy his actions, it also subjects him to a higher standard of clean sailing and he should leave no room for doubt (which has been expressed). As such, he made another effort to right the situation and contacted the ILCA and asked to RAF for the two races affected (one was already a drop). The response he finally received was that it wasn't possible to do so. Any protest would have to be raised during the event and not after and the same goes for any request to RAF. I honestly do not know the rules on whether there is a time limit to RAF but I do know that in the world according to the ILCA, Doug's scores will not change. His journal will go back up soon and the wearing of the shirt will be elaborated on for purposes of anyone who might copy him. I congratulate you Doug on contacting the ILCA and asking to be scored RAF for those two races. Given Dave Perry's opinion on Case 3 and what you initially wrote on your blog about your intention in wearing the shirt, then it was the honorable thing for you to do. We went to a wedding this past weekend and the minister gave the bride and groom the 5 and 4 most important words for a happy marriage. The husband's 5 words are "I'm sorry I was wrong" and the wife's 4 words were "What is your opinion?" to which the husband should always answer "I'm sorry I was wrong". I meant to pursue the whole rule interpretation a little further but I've been heavily distracted from all things related to sailing for a couple of months (and unfortunately have swallowed alot of Doug's time too). We haven't even had a chance to put Doug's journal for France back up. Hopefully, we'll get to it before we leave for Canada.